Graham McKenzie enjoys all the fun of the fair in Sarasota, on Florida's southwestern coast. In a nutshell: Roll up, roll up, and follow in the footsteps of circus magnate John Ringling who bought his famous tented show to this sleepy Florida coastal town in 1927 and injected a dose of entertainment and culture that still brings visitors from far and wide today. Why your clients should go: Florida isn't short of gorgeous beaches and Sarasota's 35-mile coastline is up there with the best of them, but if your customers want something more than just a beach holiday in the Sunshine State, Sarasota has the added attraction of the fascinating Ringling Museum and the Forest State Park. Who will it suit: It's perfect for families, particularly extended families on a twin-centre holiday, so the grandparents can get a well-earned break after a week at Orlandos' theme parks, only around two hours' drive away. What to see: The outstanding attraction is without doubt the John and Mable Ringling Museum of Art. Based on the heritage of circus life, the museum charts and illustrates the history of the Ringling Family Circus from its beginning until today with outstanding and truly amazing exhibits from the past, such as the human cannonball and a 44,000-piece miniature replica of the circus which was taken from town to town. For anybody who has seen the film 'The Greatest Show on Earth', this is where it all started. The museum is, however, more than a homage to the circus. It also houses one of the finest art collections in the world with exhibits from all over, accumulated during the heady days of the 20s and 30s. The museum is easy to navigate, inexpensive and can keep you amused for hours. What to do: Alongside the museum and beaches, don't miss the Myakka State Forest, 8,593 acres devoted to outdoor pursuits including hiking, biking, canoeing, fishing and horse riding. Sarasota also has its fair share of decent golf courses and is also a centre for rowing. What to eat and drink: Rooftop bars, seafood shacks, high class steak restaurants, local pizza parlours - Sarasota just about covers it all. Best of all you don't have to dress up, you can mostly eat outside and the restaurants are super laid back. Where to sleep: I stayed at the very comfortable, mid-range Aloft Hotel which was ideally suited for the pedestrian-friendly downtown. If you want a beach hotel, the best location would be Blind Pass Beach and Manasota Key. Most instagrammable spot: Get down to the marina to admire Seward Johnson's sculpture, Unconditional Surrender, which recreates the famous photograph in Times Square by Alfred Eisenstadt showing 'the kiss' between a sailor and a bystander to celebrate the end of World War 2 in August 1945. Purse your lips and snap away. Do: Take comfortable shoes as most of the city area is pedestrian friendly, which is not always the case in the US. 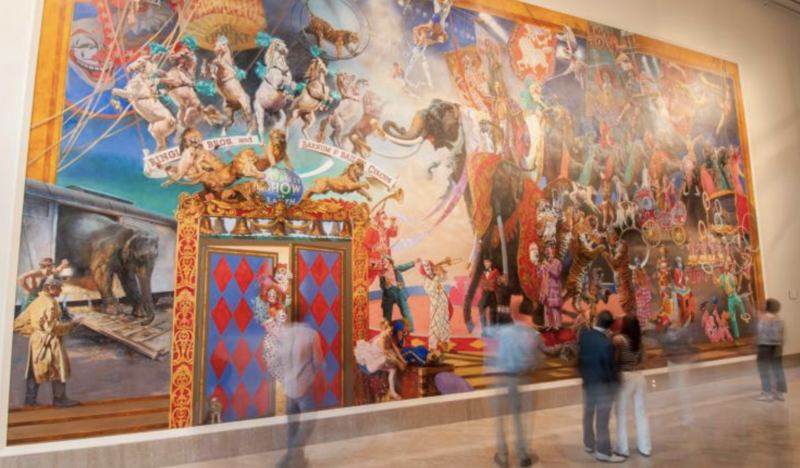 Don't: Miss the Ringling museum. Top Tip: The sand here is quartz crystal and stays cool even when the Floriday sun is at its most scorching, so you won't have that embarrasssing hop to the water.